Nampa Idaho - We are excited to announce another community partner all the way from Rupert, Idaho. Airport Lighting Equipment has partnered with the Horsemen for the 2019 season. When we say "A 1 Community team", we mean Idaho! 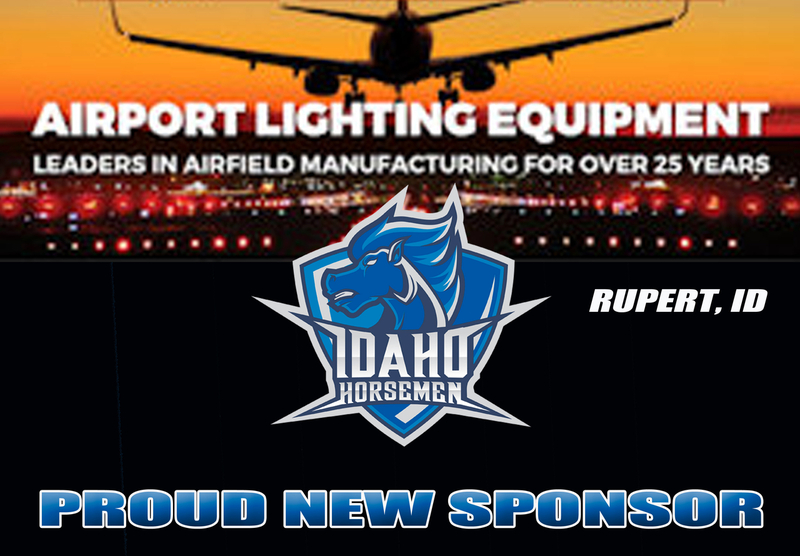 Thank you Airport Lighting Equipment for your support!#Posseup Idaho. Airport Lighting Equipment (ALE) is a family owned company located in Rupert, Idaho. They specialize in manufacturing FAA approved airport runway products. Our products are sold worldwide with customer satisfaction our #1 goal. With the help and knowledge of their experienced employees, customers can expect short lead times, good pricing, and high quality on all products.